Sports Court Markings – Junior School in Streatham, South London. Markings to both a Netball and Short Tennis Court including surface area painted. 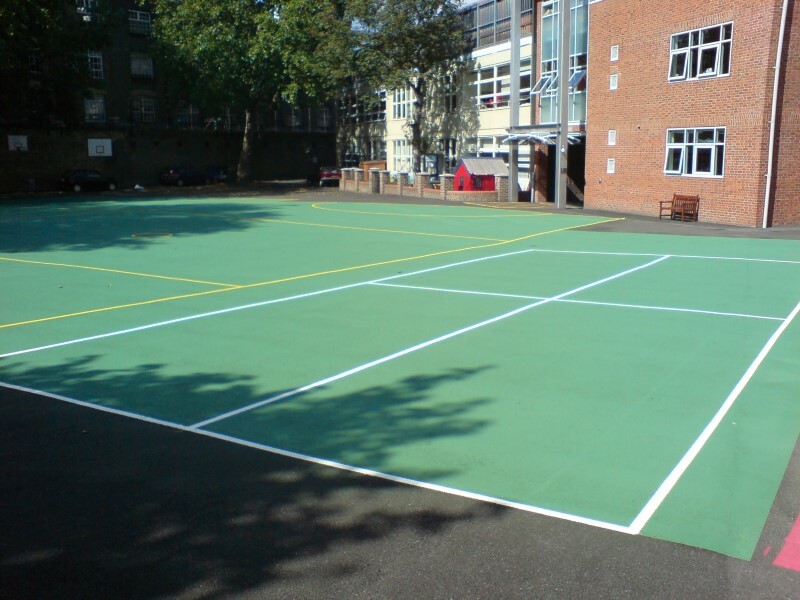 Green solid background painted with White and Yellow markings to create a Netball and Short Tennis Court.